Manufacture by Kover-It using the very best PVC-ST. 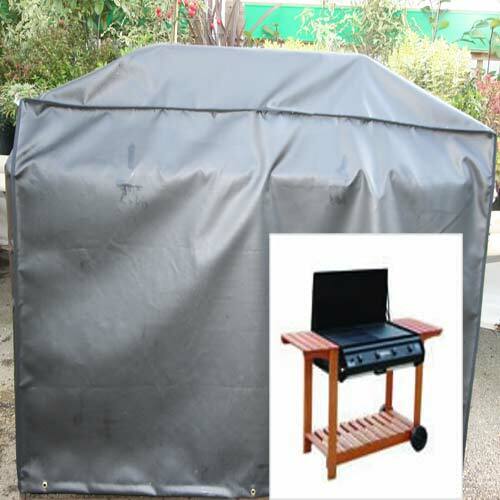 This waterproof BBQ cover has immense strength and longevity. Ideal for hotter climates as this textile will withstand plus 70 temperatures, will also perform in minus 30. PVC-ST is cosmetically very pleasing holding its shape well. This textile is easy to clean. Kover-it covers come complete with brass eyelets, shock cord and a 5 year guarantee.